Maybe the Mongoose Did It? “Grandpa” set out a bucket of zinnias on the lanai yesterday. 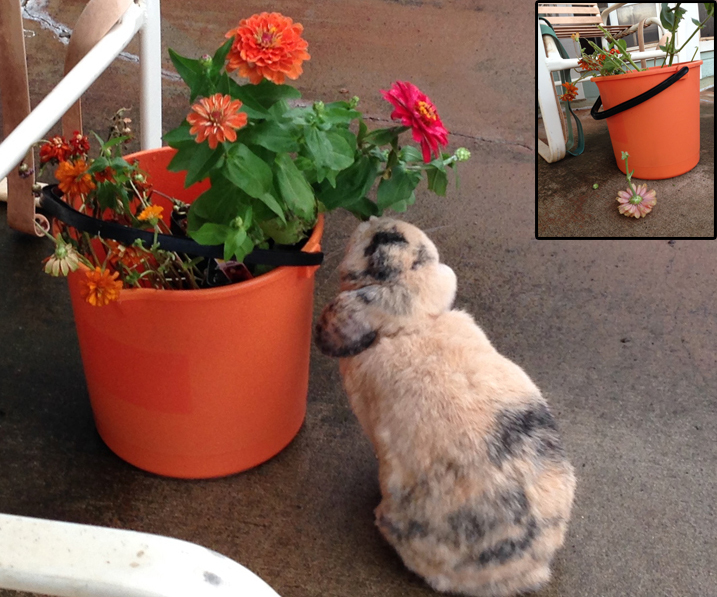 A brown rabbit was seen investigating the unexpected bounty. The small inset photo shows the result this morning. “Nobunny” is owning up to it. Did you inspect his mouth for crumbs?